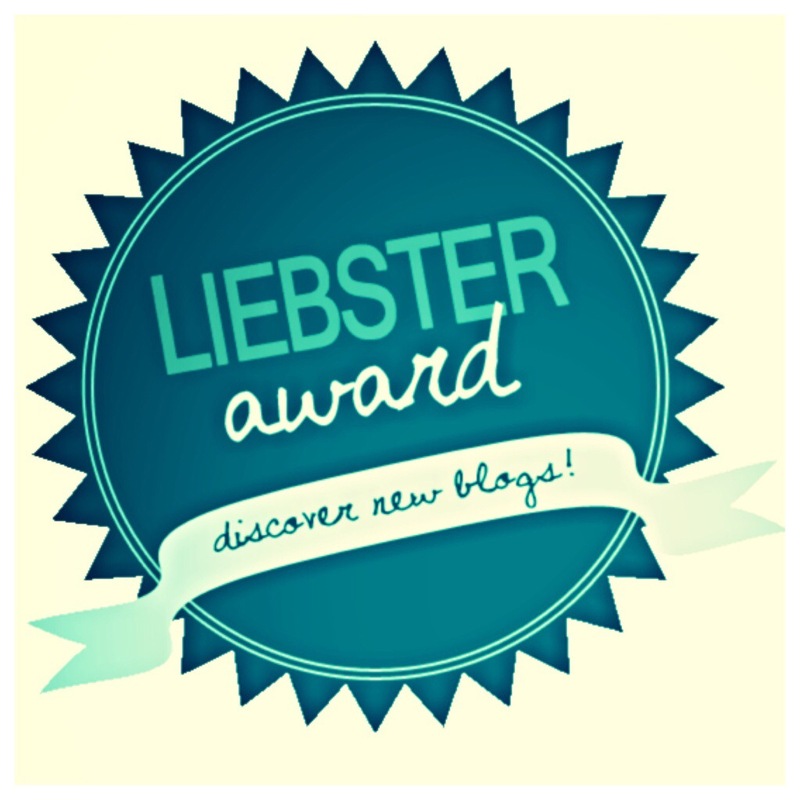 I am incredibly excited and proud to share with everyone that I was nominated by a fellow blogger for the Liebster Award, a peer-to-peer way of recognizing new blogs that you love to read, and sharing them with everyone! The way this works is that I answer the questions posed by the blogger who nominated me, and in turn I nominate more bloggers and give them my own version of the quiz. It’s the gift that keeps on giving, and one of the main reasons I have come to enjoy blogging. To me, writing a blog isn’t just about putting your thoughts out there in the world, it’s about creating a community, appreciating the ideas of others, and sharing your experiences with people you may not otherwise meet. Put simply, its a conversation, not a megaphone. c) Nominate eleven bloggers with less than 500 followers. d) Ask these eleven bloggers eleven questions. e) Let these bloggers know that you have nominated them. 1. What is the first thing to do on your bucket list? Sailing in the Greek islands! I caught the sailing bug when I was on a trip in Australia and spent two nights sailing through the Whitsunday Islands. My parents have sailed in the Mediterranean, and have always remembered it as one of the best experiences in their lives. I want to follow in their footsteps! 2. Tell me about your hometown. If I was visiting, what should I do there? Toronto is a great city with so much to offer. There are the typical tourist sites like the CN Tower, which would best be enjoyed from the revolving restaurant in my opinion. Taking in a Jays game in the Skydome is a great way to spend a sunny afternoon. I would also recommend spending a fair amount of time exploring the various food options the city has to offer. Toronto is a truly international city, such that you could take an international food tour on foot! Then there are also the different neighbourhoods and markets: Chinatown, Kensington Market, The Distillery District, and the St. Lawrence Market. 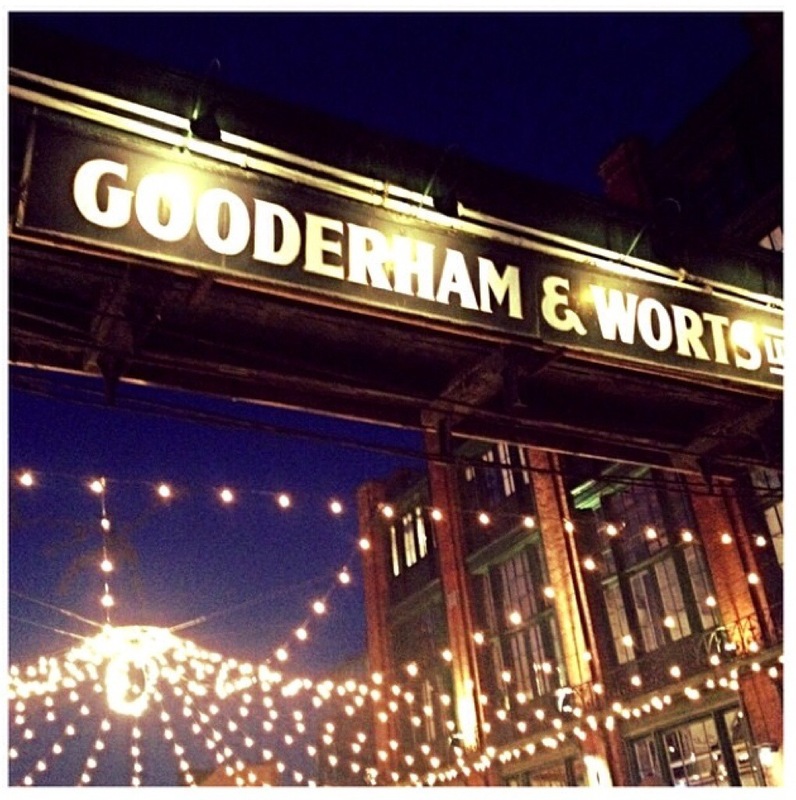 The Distillery is one of my favourite places in the whole city, holding a special place in my heart as the roots of my family history (I’m a Gooderham, descended from one of the founding families of the Gooderham & Worts Distillery.) You can get lost wandering the various galleries and artisan shops. Definitely stop at Balzac’s for a coffee or a chai tea latte! Oh wow this started as a short answer… you never think how much you have to say about your own city until you get started. 3. I have a habit of getting lost whenever I’m traveling but I find that when that happens, I discover the best places. Do you agree and where have you found? On our first day in Phnom Penh we (myself and my travel buddies Beth and Jacquie) tried, and failed, to find a couple of places, including a travel company, a massage place, and a fish foot massage place. We ended up finding absolutely comparable alternatives when we stopped looking. And along the way we found a really cool store, and some historic sites! Since then, we’ve learned to just wander the surrounding area by our hostels and see what looks good. 4. Chocolate and peanut butter: yes or no? Absolutely yes! I love Reese’s, and Oreos and peanut butter have always been a favourite (I will admit to having tried it after watching the Parent Trap). I recently enjoyed this favourite snack on a train from Hue to Hanoi. 5. What is your signature dish? I have a bunch of go-to recipes. Homemade Caesar salad would have to be one, and probably grilled salmon with mango salsa would be another. I love to cook in the summer, making mostly grilled proteins with salads! 6. What is your best food discovery? I’ve always hated squid. 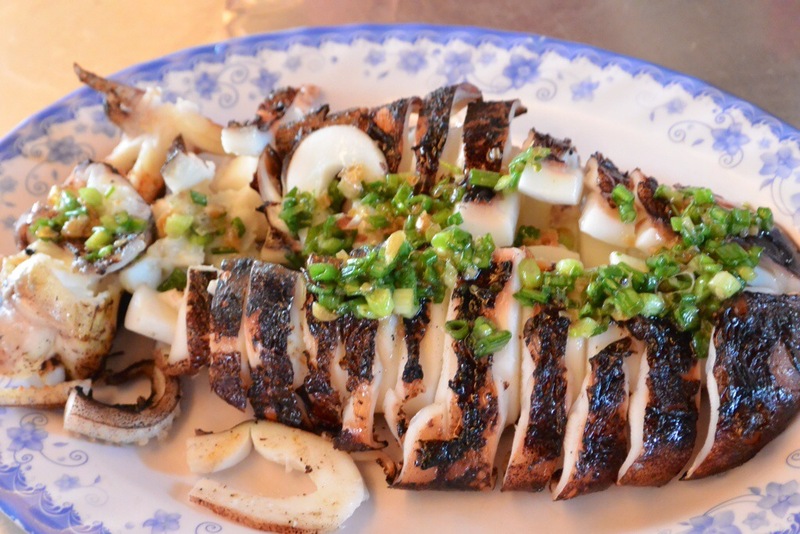 Then I tried grilled squid at the Central Market in Phnom Penh. Life changed, forever. 7. Do you have a song which reminds you of a certain travel story? If so, what is the song and the story? I had just downloaded a bunch of Lorde songs before I left for my backpacking trip. I really got in to listening to her music during our long drives through the hills of Kerala, where my trip started. Love Club is my favourite, and will always remind me of cruising through tea fields. 8. What is your best travel tip? Throw caution to the wind, and just eat all of the food, and drink all of the drinks. You might get sick, but that’s why you bring a big bottle of Immodium. No one has a great time traveling only drinking bottled water and eating Western food. 9. What is the one thing you always take traveling with you? Well, I just bought my iPad mini before I left on my backpacking trip, but I know I will take it with me on every trip I go on in the future. It’s been the best travel companion, from providing information, to endless entertainment. 10. Where is your favourite place? 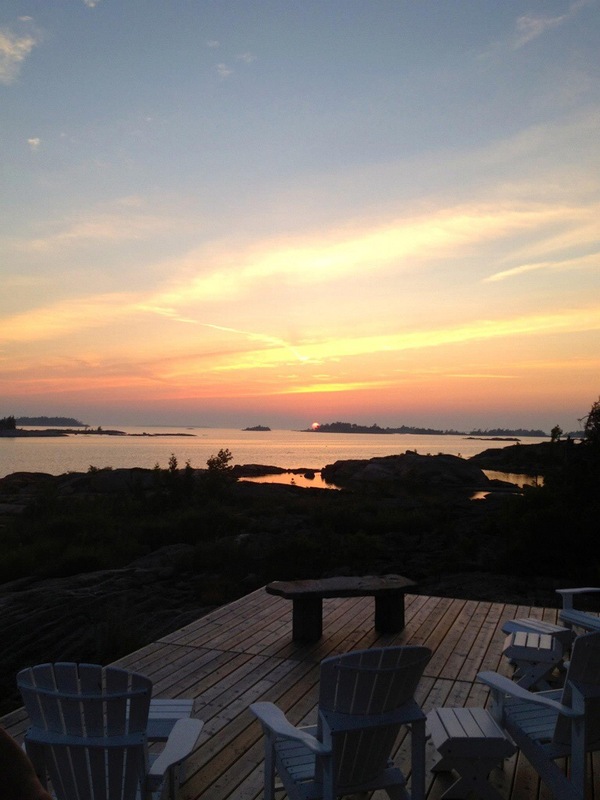 I’ve seen a lot of beautiful places on my travels, but my cottage on an island in Georgian Bay will always be my favourite place in the entire world. 11. Tell me about your biggest travel mishap. 12. What is your favourite blog post that you’ve written? My favourite post is actually one that I wrote prior to traveling. I originally started my blog for a school project, and found it difficult to write in a non-academic style. The first time I think I really nailed it was in the post Keeping the Kid Inside You Alive. This post also reminds me of a really special time in my life, when I taught a class of preschoolers. Those kids became some of my best friends, and I learned as much from them as I hope they did from me. 1. I’ve met a lot of interesting people while traveling. Tell me about the most interesting person you’ve met on the road! 2. If you could travel to one country with a limitless budget, which one would you choose and what would you do? 4. Voluntourism – yay or nay? If you’ve never done it, would you? Why or why not? If you have, tell me about your experiences. 5. What are your go-to travel shoes? 6. Best tip for being comfortable on long-haul flights or bus rides? 7. Do you blog while traveling, or when you’re at home? Why? 8. What is the best comment you’ve ever received? Ever had a worst? 9. Instagram – love it or hate it? 10. What is your favourite/least favourite international airport? 11. What do you miss most about home when you’re traveling? I had a great time participating in the Liebster Award, it’s on to you all now! Happy blogging, and most of all happy traveling! ← Nha Trang: Mojzo, Mud Baths, and Vinpearl!